Following the recent RM24 million (~S$7.89 million) Series B funding, Malaysia-based on-demand delivery drivers platform, TheLorry, has just secured another investment from Unilever. This news comes as TheLorry is expanding into four markets across Southeast Asia namely, Thailand, Indonesia, Vietnam, and the Philippines, in a collaboration with Unilever that will also provide the opportunity to scale its supply chain network. Besides providing services to Unilever, TheLorry will also source for new business relationships with customers and businesses across the region. To support this partnership, Unilever will acquire equity of convertible preference shares, according to the release. TheLorry will also move some of its core management to LEVEL3, a coworking space that sits in Unilever’s regional headquarters in Singapore, launched by The Unilever Foundry and Padang & Co.
With this partnership, TheLorry will support Unilever with on-demand and on-time deliveries, and will also provide transparent pricing with lower fees, ease of access to fleets with 24/7 connectivity, 100% track-and-trace, and real-time market price benchmarking. With TheLorry’s platform, drivers can better utilise idle times as they’ll have access to a pool of demand through a dedicated app and tablet device, which provides free routing, communication, telematics, and insights to improve driving behaviour. 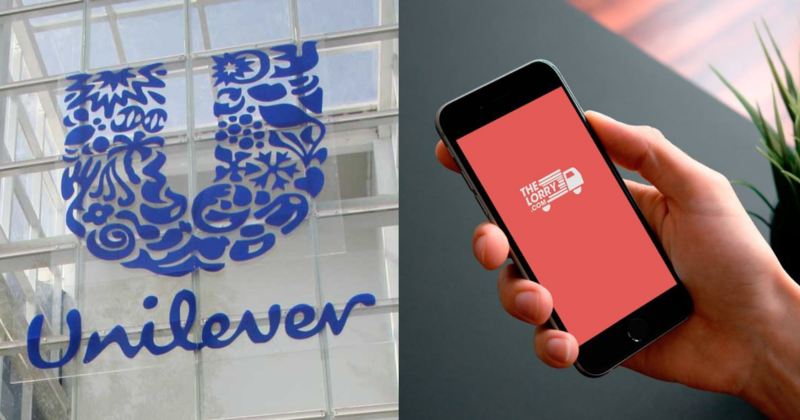 Unilever in 2017 trialled a partnership with TheLorry in Malaysia to help the company make 620 deliveries across a two-month period. They saw a 99.2% success rate of order delivery through improved route planning and 6.2% of secondary transport cost savings reducing efficiency gaps in load. The pilot tests helped Unilever pinpoint flaws in communication flows between the firm, third-party logistics providers, and the transporter. Over the next three years, Unilever hopes to achieve secondary transport cost savings of 12% through a delivery success rate of 99.5% and on-time proof-of-delivery (POD) submission of 100% through this partnership.